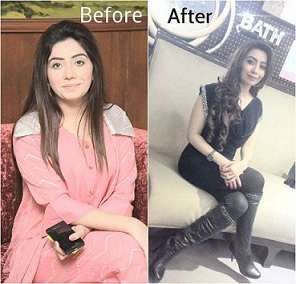 Miss Ruba is a Media figure and another satisfied client of Altmed Lifestyle Clinic. She has been struggling to lose extra pounds by various weight loss methods but nothing seemed to work for her. ” Every time I looked in the mirror. I was desperate & hopeless about my weight. Then I heard about Altmed Lifestyle Clinic and Join their weight loss program. I started getting instant results from the very first day. Ruba is Now enjoying a much healthier Lifestyle. Powered By DK Systems | © 2016 , ALTMED All rights reserved.